I recently listened to Digital Minimalism by Cal Newport, on my smartphone, ironically enough. I’ll post my comments in a day or two, but it did make me start thinking about how pervasive technology is in my life. Even though we have device-free meals, that’s really the only time that’s carved out when I don’t just glance at my phone regularly, open up Facebook, scroll through Instagram. Granted, I know I’m not as bad as some people, but that’s not the point. Even my watch shows me texts so I reply instantly because heaven forbid someone should have to wait on me. How much time am I using on social media or Candy Crush that I could enjoy or use more productively elsewhere? Would it be better to have a specific time set aside for answering texts and e-mails and maybe actually calling someone occasionally instead? Technology isn’t inherently evil and neither is social media, but we need to use them as tools and not allow them to run our lives. While I was in the middle of this book, I received an e-mail from Jord suggesting a partnership. So, while I’m thinking about being more conscious of my use of technology, I get the opportunity to choose a gorgeous, analog watch, one that only tells time, that doesn’t give me my texts or reminder, that can’t control my music. And gives me back some time away from all of that. 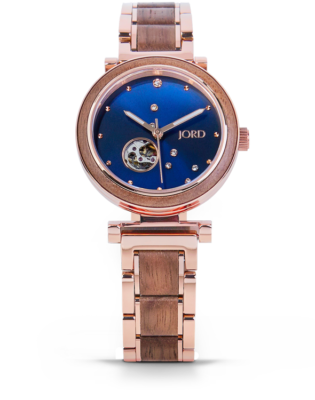 Even better, I get to host a giveaway for a $100 e-gift toward a Jord watch of your choice. You can see all of their styles at www.woodwatches.com. Mine is Jord’s Cora Polaris in walnut & midnight blue and I love it. Not only is it a little old school, in a classy gorgeous way, I like the connection to nature with the walnut accents and the Little Dipper and Polaris depicted in Swarovski crystals on the face. It’s been ages since I’ve worn a non-smart watch and I didn’t realize I’d missed it. It’s self-winding automatic which means no batteries, and the mechanics are visible through the window on the front dial which kind of fascinated my husband. 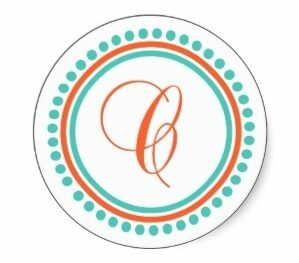 Link closes and contest ends April 28, 2019. Winner will be notified by JORD. It is a really pretty watch! I try to limit tech time, too…but it’s hard. We try to put everything away by 8. Only Kindles and TV are allowed. I find it hard not to check Facebook or Instagram or whatever during the commercials. I love traditional watches! Thanks for the giveaway! Good luck! They are beautiful watches.